If you follow me on Instagram (I'm @LouLou699) then you'll probably already know that I'm a bit of a Poundland fan. 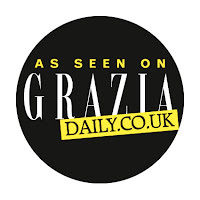 I'm lucky enough to live quite close to a large branch and pretty much every week, you'll find me in there hunting for bargains. You have to watch them a bit price wise but I can usually always find something that I need, or should I say want! 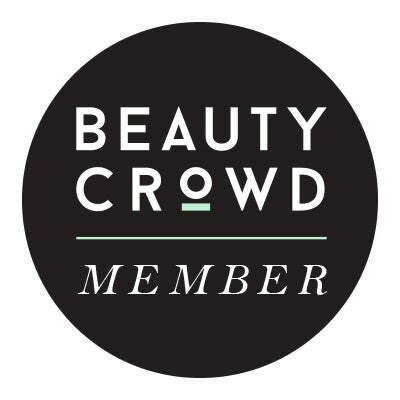 At the moment Poundland have a bit of a beauty event thing going on and they've got quite a few new beauty bits including a new skincare line and a few discontinued drugstore bits. The stock changes regularly and it can depend on the store but in the past month or so, I've managed to pick up a few interesting bits including some Ardell false lashes, a fab Outdoor Girl True Matte Lip Gloss, and a few bits from Models Own including this gorgeous nail polish. Like so many Models Own polishes this shade has now been discontinued which is a real shame; From the Sweet Shop Scented Polish Collection, this is NP214 Pear Drops. Pear Drops is a bright, summery coral, red which is shot through with lots of fine glitter and sparkle. 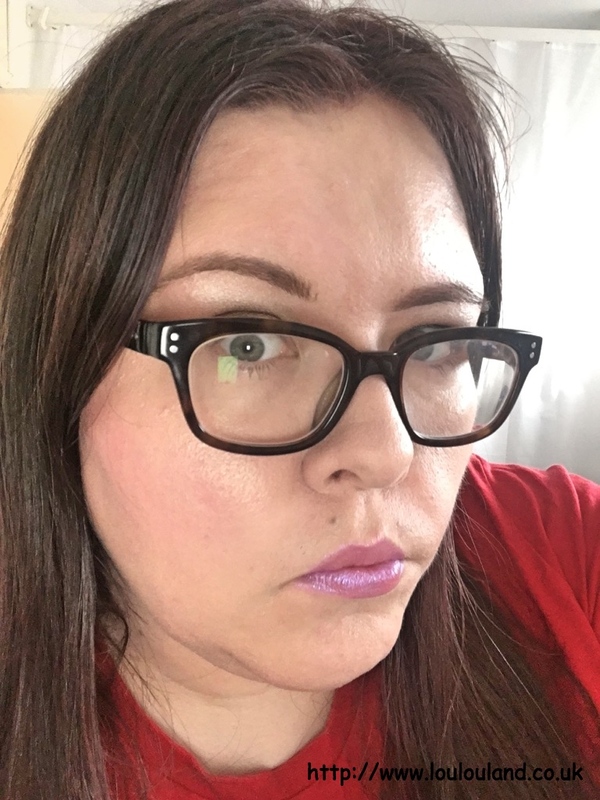 If you aren't a glitter fan though, you might still like this, in certain lighting conditions it's quite subtle, but change the light and it comes alive. 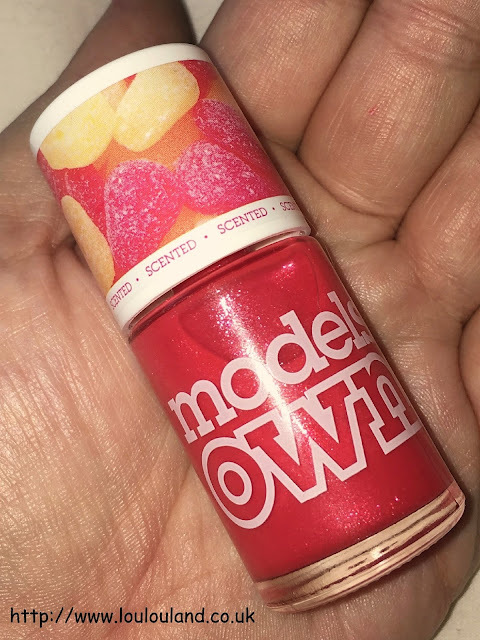 Although the lids can be a little awkward to hold I am a huge fan of the brushes on Models Own polishes, they are sturdy and have a nice thickness to them. This polish has a slight jelly like texture which meant that the application was a little bit sheer. 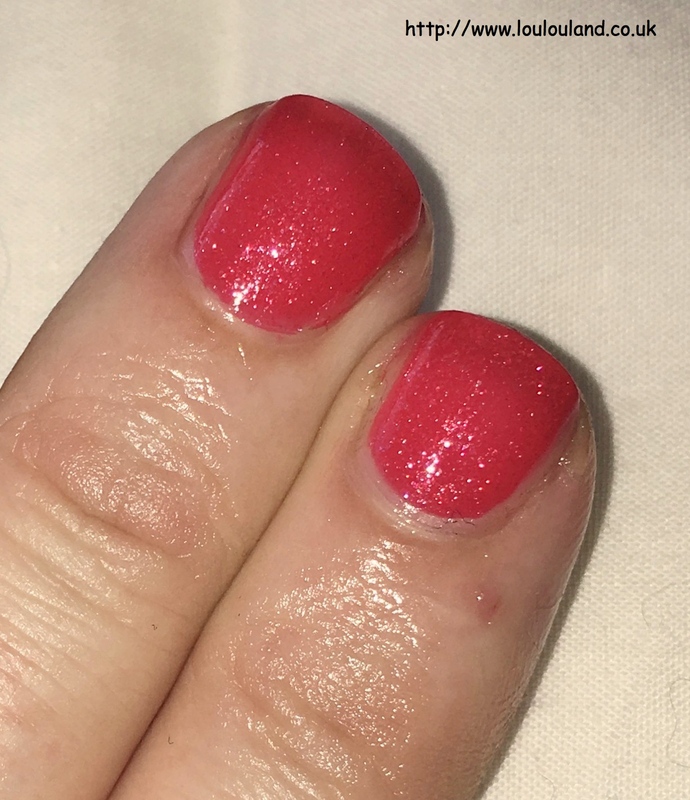 It took me 3 coats to achieve full coverage, which was a bit time consuming, but it dried quite quickly and despite containing a lot of glitter it dried down to a fairly smooth, glossy finish. 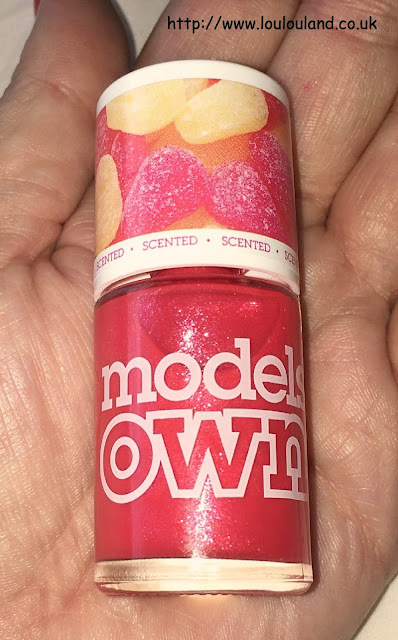 Now this was one of the Models Own's Sweet Shop Scented Nail Polishes, and the name would suggest all of the polishes in this particular line have sweetie scents. There is a little scratch and sniff section on the lid but you really need to apply these polishes to get the real candy hit. When you apply this particular polish you get that familiar, chemical, nose aching nail polish scent, but it quickly dispersed leaving a subtle, sweet and slightly sour, fruity pear scent. The scent was noticeable but it wasn't that strong and it gradually faded after a day or so. Unlike a lot of glitter polishes the wear time on this one wasn't that great and it had started to chip after less than two days, but I'm going to hold my hands up though and say that was probably my fault. As per usual I didn't use a top coat (if you're new to my blog I very rarely wear a top coat when I'm testing a nail polish) but in this case I also skipped a base coat! I know slap wrists! I committed the cardinal nail polish sin! 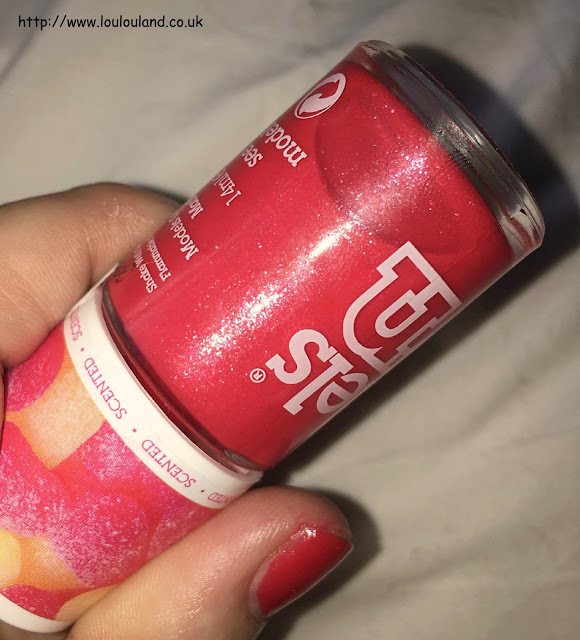 I normally use something like OPI's Nail Envy but I was in a rush so I ended up applying this polish directly onto bare nails eek, not something I would recommend in this case. 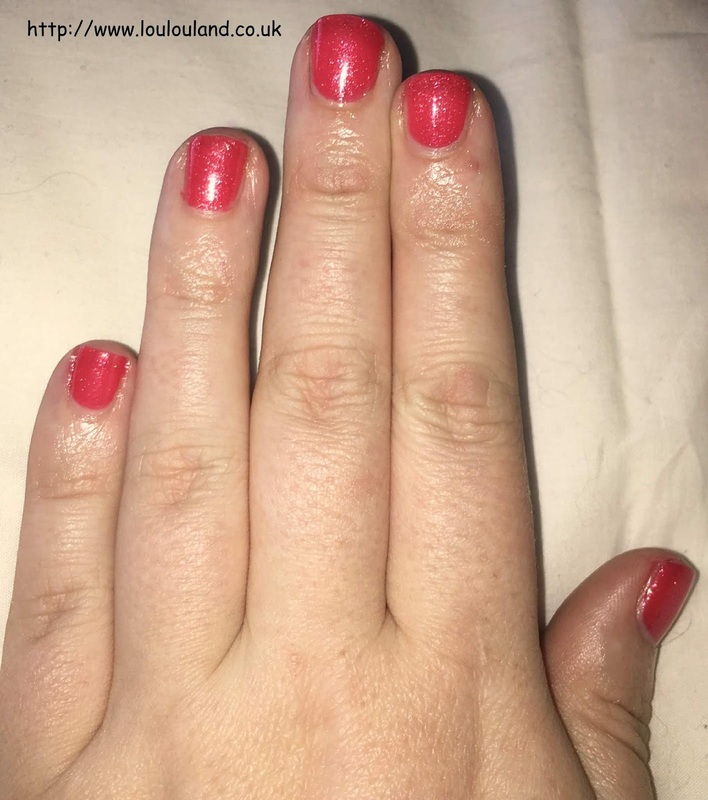 As well as potentially altering the wear time, it also made this colour a little bit trying to remove, glitter no matter how fine is always hard to remove, and this one was no exception, and because I didn't use a base coat I was also left with a little bit of pink staining on my nails. 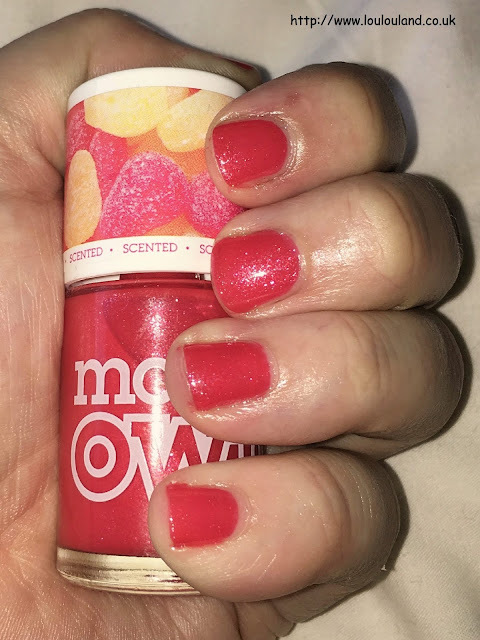 So take my advice and if you do manage to get your hands on this polish, or quite frankly any other nail polish then use a top and definitely a base coat! 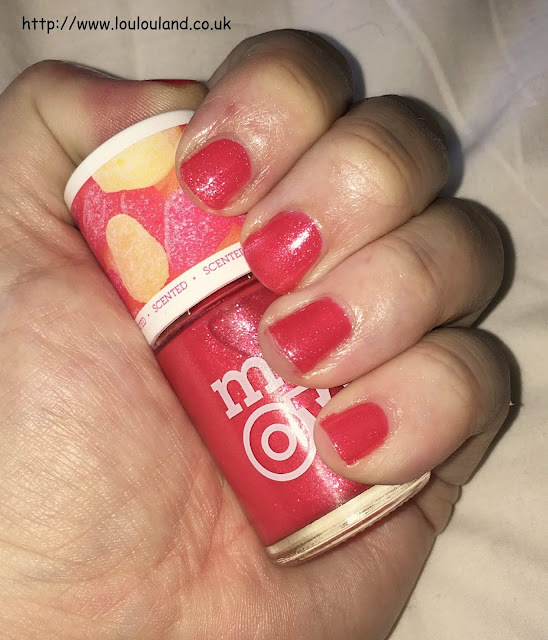 Seeing as we're now into Autumn, this isn't probably isn't the most seasonal polish that I've ever worn, with the bright pink, orange and red tone but who cares, it's a beaut no matter what the season. 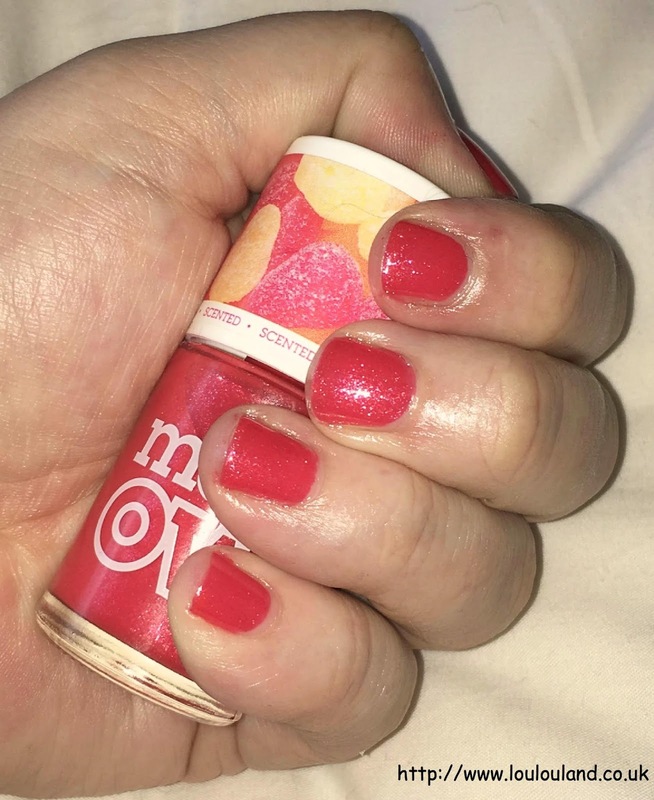 My nails are pretty short and dry at the moment but I still love how this colour looks and if you're lucky enough to have a beach holiday planner or if hope upon hope we have a few more sunny days then this colour would also look fab on toes.